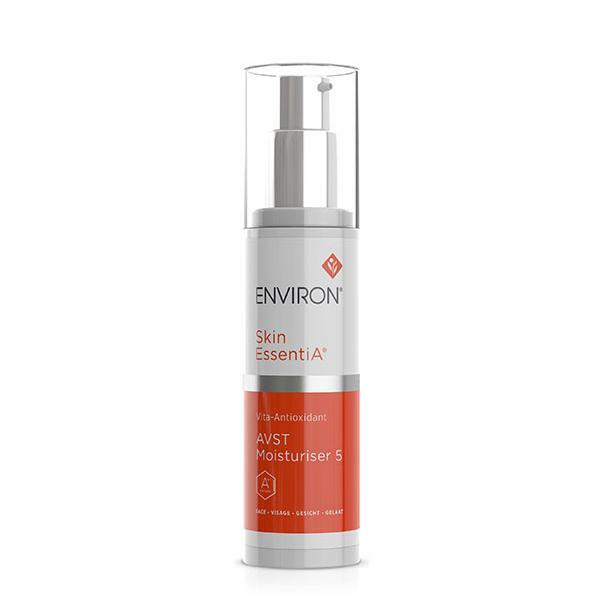 Environ AVST 5 is a cutting edge product, endorsed by the Swiss Vitamin Institute. It contains high levels of vitamin A and C, as well as antioxidants and peptides. Fights the visible signs of aging. 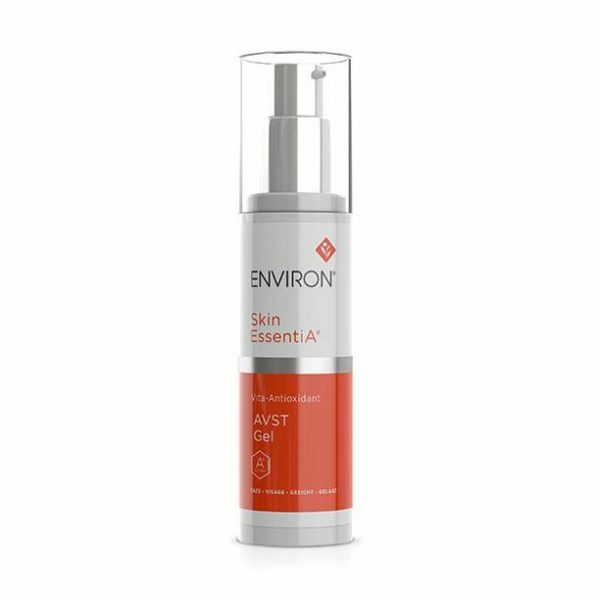 Environ AVST 5 contains the highest level of vitamin A, vitamin C , antioxidants and peptide in the Environ 5 step program. It fights the visible signs of aging! This cream assists in maintaining a youthful, fresh appearance. And it’s suitable for all skin types (and ages) but specially designed for sun damaged, mature and hyper-pigmented skin. This unique emulsion encourages healthy elastin and collagen to be produced. This results in improved skin texture and softens lines and wrinkles. And it provides long-lasting moisture. So your skin feels soft all day. In addition to a healthy glow, you’ll minimize the signs of aging. In addition, the prestigious Swiss Vitamin Institute endorses the Environ AVST vitamin-based products. 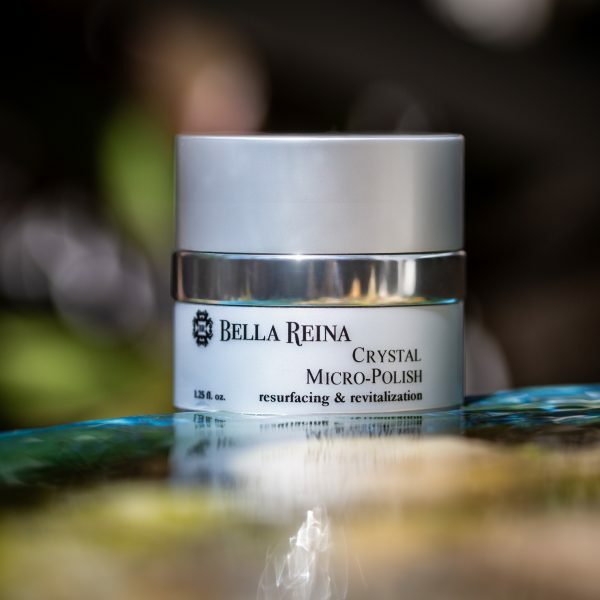 With regular use, dryness lines “plump up” and wrinkles and fine lines soften. Environ AVST 5 helps to minimize the appearance of sun damage and pigmentation. And it’s fragrance and preservative free. Use morning and evening. And please remember to use sunscreen. Suitable for long term use. Your skin feels consistently hydrated and looks refreshed. Enjoy a more youthful appearance! A highly recommended product by SPA estheticians. Consultation recommended prior to product use. Please see ingredient tab listing for important information about Environ AVST 5 and counterfeit products. After cleansing and toning, apply the AVST 5 cream. Apply by massaging into the face, neck and décolleté area, both morning and evening. Allow cream to dry and then apply your Intensive product (C-Boost or Colostrum Gel) if applicable, followed by sunscreen or other appropriate Environ® products. Aqua (Water), Hydrogenated Polydecene, Polysorbate 60, Ascorbyl Tetraisopalmitate, Sorbitol, Tocopheryl Acetate, Glyceryl Stearate, PEG-100 Stearate, Caprylic/Capric Triglyceride, Ethoxydiglycol, Cetearyl Alcohol, Glycerin, Retinyl Palmitate, Dimethicone, Panthenol, Retinyl Acetate, Sorbitan Stearate, Ascorbic Acid, Rosmarinus Officinalis (Rosemary) Leaf Extract, Epigallocatechin Gallate, Aspalathus Linearis (Rooibos) Leaf Extract, Cyclopia Genistoides (Honeybush) Leaf Extract, Polygonum Cuspidatum Extract, Ascorbyl Palmitate, Beta-Carotene, Palmitoyl Pentapeptide-4, Polysorbate 20, Carbomer, Polyglyceryl-10 Laurate, Tocopherol, Helianthus Annuus (Sunflower) Seed Oil, Xanthan Gum, Butylene Glycol, Disodium EDTA, Maltodextrin, Gelatin, Sucrose, Zea Mays (Corn) Oil, Zea Mays (Corn) Starch, Sodium Hydroxide, BHT, Methylparaben, Propylparaben.